The Thibodaux Tigers opened the season by defeating AAA Jesuit in Jamboree play. In their first scheduled game, the Tigers mauled a hapless Franklin team, then rolled over another AAA opponent, Catholic High of Baton Rouge. The highly-regarded Assumption High Mustangs was the third consecutive team to bow to the Purple and Gold. The Tigers went on to shut out their next six foes before handing the Chalmette Owls a 31-14 defeat in the last regular season game. In the South Louisiana AA championship game, Thibodaux played their very best and defeated the surprised and bewildered Tornadoes of Hammond, 13-0. 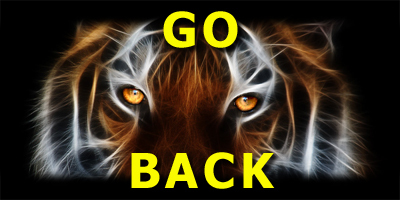 The Tigers brought a perfect record into their matchup with the highly touted Monroe-based team, the Neville Tigers. Our "Little Tigers" displayed tremendous determination and courage and held a 7-0 lead at halftime; but in the second half, Neville was just too much. THS tried valiantly to contain the hard running backs of the Neville squad, but ultimately lost a thriller and heartbreaker, 13-21, ending the season with an 11-1 mark. The spirit and enthusiasm exhibited by this Tiger team can best be explained by the words of Head Coach M.T. Tatum: "Football is an investment - you only get out of it what you put in. Our boys put out tremedously and received the dividends that come from hard work." Team members on this 11-1 South Louisiana AA Championship team included Norman Adams, Wilkinson Babin, Wilton Benoit, Charles Bonvillain, Freddie Clement, Donald Constant, John Allen Daigle, Paul Due, Duggie Dugas, Thomas Dunbar, Steve Gray, Edmond Gros, Gayland Hebert, Gerald Hebert, Carl Heck, Tommy Jones, Charles LaRose, Arthur Naquin, Francis Naquin, Randy Parro, Gillis Richard, Robert Rodrigue, Ruffin Rodrigue, Donald Schwab, Troy Smith, Larry Toups, Milton Trosclair, Rudy Trosclair, Daniel Zeringue and Robert Zeringue.